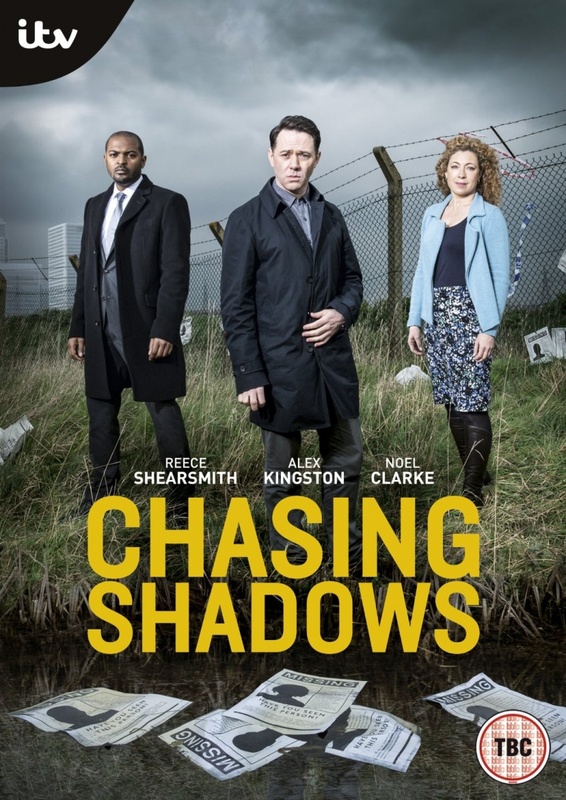 Last week I watched a TV series which I’d never heard of and which has seemingly been cancelled – Chasing Shadows – with Reece Shearsmith (of The League of Gentlemen and Psychoville). What you see of others… is what you see of their surface, perhaps because it’s what they want you to see and perhaps it’s because of what you want to see. In the first episode, the killer is obvious as soon as they appear. Why? They’re too nice in a ‘I care about strangers’ kind of way. Or perhaps it was obvious because I watch too many shows like this one. That’s fiction, fiction has an obvious pattern even when it’s trying not to have one. The other night I watched the documentary series – The Jinx – by Andrew Jarecki. He directed the film – All Good Things – which is a fictionalised account of part of the story explored in real life detail in The Jinx. I’d paused on that film, All Good Things, a few times while browsing… but never felt compelled to watch it enough to press play. The plot sounded like the plot of many films – fairytale gone bad. Fairytale gone bad – that’s the plot of life on a regular basis. Nothing new there… and do I really want to watch something which plays that one out again, even if it is prettyfied by Hollywood, just in case I had a momentary lapse of reason and believed in happy endings to delusions. However, The Jinx… that’s something else! 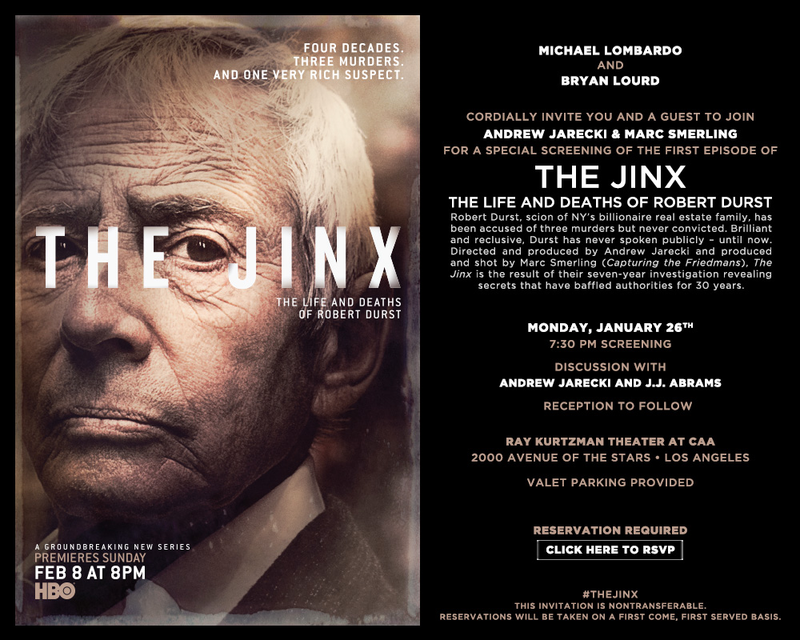 The Jinx is what happens when people, on whatever side of the camera, capture what’s real, true, even when it is lies. One of the parts which stood out the most for me while watching this was that one juror who acquitted a man who was obviously guilty and admitted as much, and that juror justified his reasons for not only claiming the defendant was ‘not guilty’ but also helping to convince another juror who insisted on a ‘guilty’ verdict to change their view… and still stuck by his ‘not guilty’ verdict even after it didn’t matter anymore. He knew that he was wrong, but couldn’t admit it because of… his own story which affected the story of others. That… is people seeing what they want to see even when faced with facts which prove that what they want to see isn’t what is actually there. It was done sympathectically, which is how this kind of thing needs to be done. People are… people. And people prefer not to see the worst when they can see reasonable doubt which allows them to give the benefit of the doubt even to someone who doesn’t really need it or want it, who doesn’t deserve it, and flaunts that. Many people might say that Robert Durst got away with what he did and kept doing because he’s rich, from a very wealthy family… that did have some influence. But that kind of influence can backfire. He got away with it more so because, we just don’t want to believe that people… real people… can be like that. Not us… not us as we know ourselves, as we paint ourselves to be for ourselves or others to witness and confirm through bias… maybe, but… what if… NO! Those who are most certain of such things as good and bad, the black and white of life and people… are always the ones I worry about. People who have such rigid guidelines are the ones most likely to snap when push comes to shove. When they snap… it’s always someone else’s fault, and someone else always pays for it. They never see how sinister a smile can be, all they see is a smile, which is something only good people can do. Case in fictional point – Broadchurch. and the person frowning… is perhaps just being honest, but their honesty is told to smile. Sometimes truth is stranger than fiction, and sometimes fiction shows the strangeness of truth. Have not seen “Bloodline” or “All Good Things” will have to check these out! Also Ursula, since I am new and still trying to find my way around your wonderful and so helpful blog, I did comment on something and inquired about your “go to book” and am curious is it a good one for Narcissistic Relationships or more for being brought up in a Narcissistic home? The book is very hard to find and extremely costly but will to pay if it is really a good one to have! Please let me know your insight on this…..Thank You! I replied to your earlier comments, but I was in a rush and forgot to add a couple of links which you might find helpful. This is a book list from The Narcissistic Continuum, a great blog for info on NPD. There’s also a list on books about NPD on Out of the FOG, also a great site for info on NPD. As I said in my previous reply, I doubt if you’ll find ‘Going Mad to Stay Sane’ to be what you’re looking for if what you want is a book to help you deal with a relationship with a partner who has NPD. It’s a book which is more for those who have grown up with NPD parents, and want to understand themselves rather than those with NPD. It is also not specifically about NPD, although it did describe my parents perfectly and how they affected me, and did so better than any other book I’ve read on such a subject. I’m not sure which is the best book to read for those who’ve been in a relationship with a partner who has NPD. I’m sure you’ll find what you’re looking for, we always find the right book for us. Thank you so much for your reply Ursula! Unfortunately I purchased this elusive book right before receiving your reply….Oh well, as hard as it is to find…I am sure I will be able to pass to someone that might get help from it! I am out of the Narcissistic relationship, through much research and on the road to recovery…Hope one never crosses my path again….lol Seriously! But again I do thank you for the reply! It’s a very good book, worth reading now that you’ve got it. Who knows, it may not address what you’re looking for but it might give you an insight into the relationship anyway. It uses mythology to explore psychology, and there is a lot of mythology at work in our lives, within ourselves, and within our relationships with others. The myth of King Midas is very much the myth a narcissist lives by. Narcissists live in a mythical version of reality, and they are particularly attracted to idealists, dreamers, and those who look for a perfect love. Because they’re seeking that too, and to be that. Keep researching, and following your path to recovery. There are many discoveries to be made along the way! I have watched “The Killing” and “All Good Things” but not “Broadchurch” or “Bloodline”. What you say about exterior presentations is interesting and imho, very true. You might be interested in “Blink” by Malcolm Gladwell. He writes about something he calls “thin slicing” which is a sort of shorthand that we humans use to figure out people or situations or things. 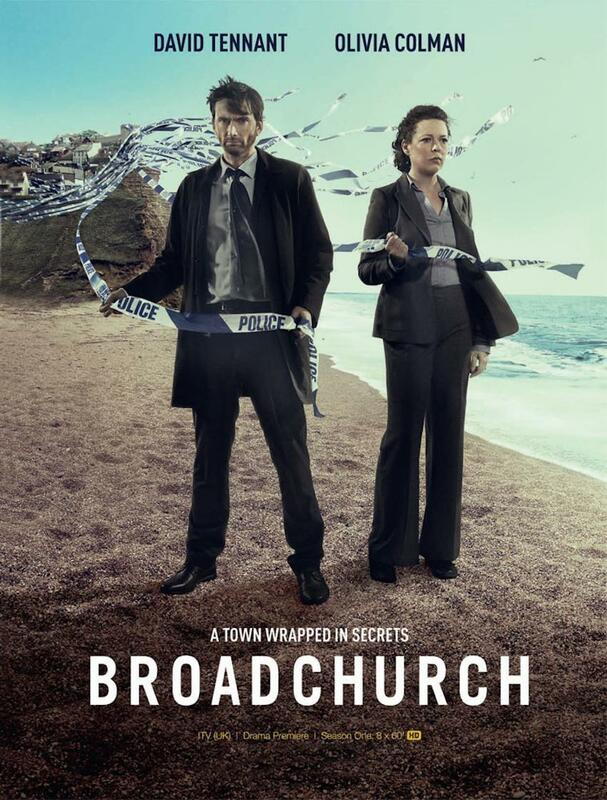 I enjoyed Broadchurch (I watched the UK version) more than I expected. Took me ages to get around to seeing it because I thought it would be too heavy going. It’s one of those shows which captures the subtleties of life and interactions, and embraces the grey areas. 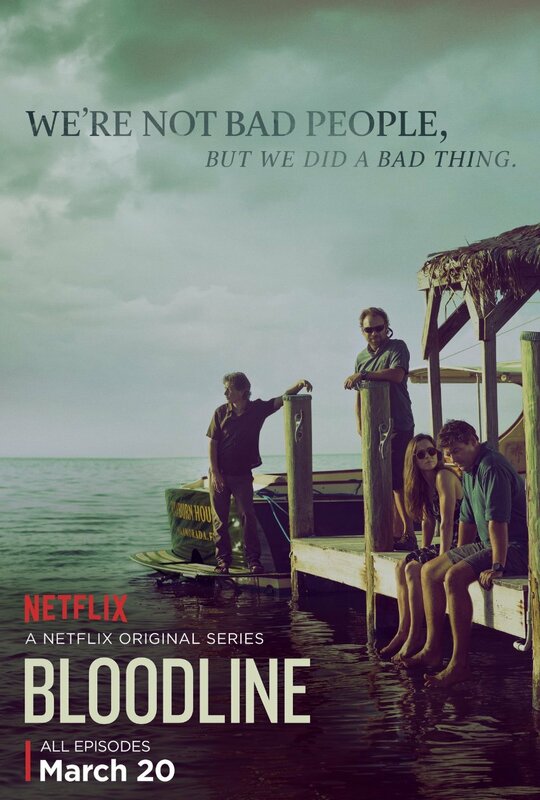 Bloodline is excellent, very psychological thriller in its style. Blink sounds intriguing. I just checked out the website for it. On the reading guide for the book, chapter two is before chapter one. Is that a test, I wonder. I love noticing things like that, they’re like easter eggs. Thank you for the heads up. I know of Malcolm Gladwell, but I can’t recall why. I wonder if I’ve read one of his books. I’ve probably used one of his quotes in a post. I’ve looked up his Wiki before, that much I can recall. Sigh! I have been curious about Bloodline . I might check it out. It’s an excellent show, very different, unexpected, with superb actors and a very clever style of filming. They deviated a lot from what would normally be done with this type of storyline and characters, which was great to watch. There is a superb understated quality to it. I was a bit meh about watching it as I thought it was the typical made for TV family drama, which I usually avoid as they’re all the same and I find them depressing, superficial and can’t relate, but once I started watching, I was riveted and saw the entire series in a couple of nights. It’s by the creators of Damages. It has a similar style, a certain appealing ambiguity, an understanding of human nature and a willingness to go to those deep dark places.